As we know if business is not in internet, then it will be out of business. 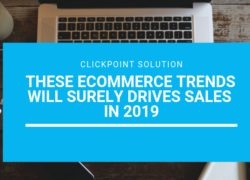 So everyone strives towards Ecommerce and its success. But that ‘E’ in E-commerce doesn’t stand for easy. There is no set of rules or features or designs that could guaranty that your online biz will be elevated to popularity in a certain time frame. But there are some basic and desirable things are there which shouldn’t be ignored while running an E-commerce store. Here are some features which may help you improving the user experience and increasing the revenue. These elements are not statutory. A sharp and remarkable logo is a business card for both startup and branded stores. In Ecommerce, logo has an important role to play. A recognizable logo is a reassuring symbol and an element of trust of the company or organization. A good logo can able to leave special impact on an online store with fashionable home page designs while displaying minimum features. It’s compulsory to place the search box, login box and shopping cart features at every Ecommerce site. For future access, every customer who signs up can choose a personal login and password. Such accounts can receive special discount offers from the storeowners and participate in different promotions or sales. If you are a large online store with having a widespread choice of merchandise then the search box is mandatory. 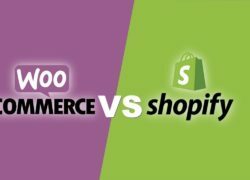 Professional Ecommerce development service providers can easily implement Woocommerce for your Ecommerce website where you can get all the secured login, search box, cart, inventory management etc without any hassle. Actually for buying, online shoppers have more options. So they instantly decide whether they like a website or not. For that you get a fraction of time to grab their attention. So try to make your homepage so interesting that they won’t get any time to fluctuate. People are always fund of discounts and deals. People often lose their minds during sales and discounted products, and buy anything at reduced prices just because it’s on sale. So try to fetch their attention with such type of things. As a seller you have to take shipping cost into account. Though it’s online, customer always wants to save time and money, it’s a psychological thing. So to save customers from unwanted shipping expenditures, you may adjust the minimum order price to include shipping costs. Try to provide free shipping to your customers which will motivate them for buying. You don’t want to lose customers because you didn’t provide a payment option they preferred. Provide variety of payment options for your customers. This will make the transaction linier and successive. So place the payment system icons at the footer or on the top right corner of sites. When there is a problem, customers would prefer to have someone they can talk with. This is the core of the need for a store to make a support team; 24/7 call and live chats are highly appreciated forms of value-added customer service. If online purchases can be done all day and all night long, it is highly suggested to provide 24-hours customer services to solve the majority of pre-sale and post-sale concerns or questions. Trustmarks are small images or logos that show a security guarantee by an external party indicating that it is safe to shop on the site. Some of these trustmarks come from Network solutions, McAfee, Verisign, BBB, TRUSTe, GeoTrust etc. Such accreditation certificates give customers a sense of security and gives them confidence in sharing their private information.